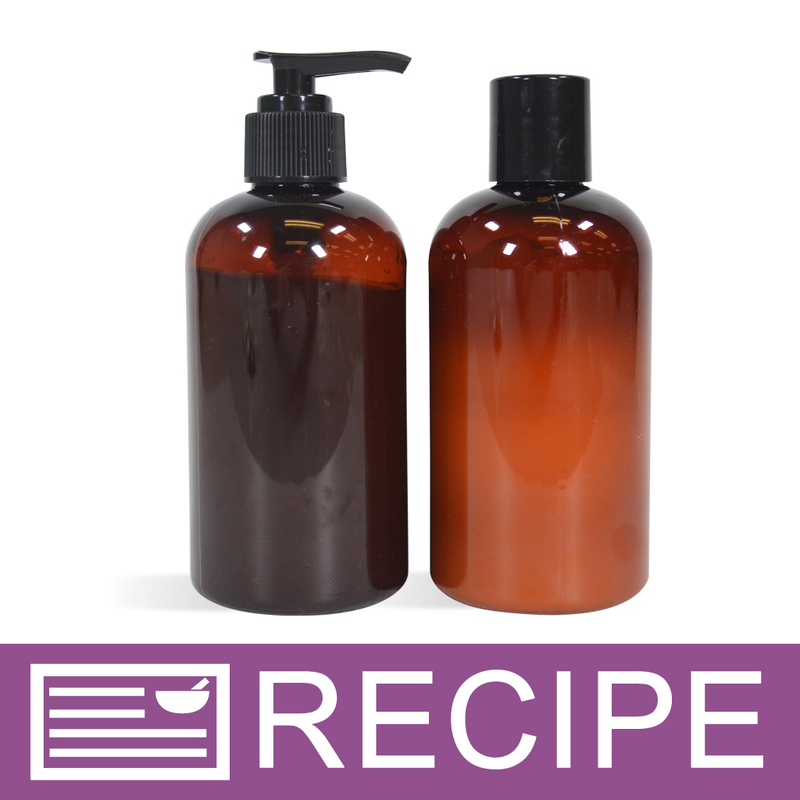 FOR SOAP: To Mix & Pour Funnel Pitcher, empty entire contents of Liquid Suspension Soap Base. Place in microwave and heat for 40 seconds. Gently stir. Add 1/2 tsp. Alfalfa Powder and mix well with a wire whisk to incorporate. Add 1/2 tsp. Flax Seed Powder and blend in. Using a plastic dropper, add 9.5 ml Cucumber, Violet & Fennel Fragrance Oil. Pour liquid soap into two of the 8 oz. bottles. Fill to the shoulder of each bottle, then divide the remaining product between the two bottles. Trim dip tubes to fit length of bottles. Set aside until product has cooled completely before placing on bottles. To Use: Pump liquid soap into wet hands and rub together. Rinse with warm water. FOR LOTION: Empty contents of 16 oz. jar of Moisturizing Lotion with Evening Primrose into second funnel pitcher. Heat in microwave for 40 seconds. Remove and stir. Add 0.25 oz. Aloe Vera Oil and 0.25 oz. Cucumber, Violet & Fennel Fragrance Oil. Blend well to incorporate. Fill remaining two bottles with lotion. Tip: hold funnel pitcher slightly above the bottle opening and let gently pour into bottle. Pouring too close will make product clump at the opening. Let product cool completely before placing disc tops on bottles. To Use: Massage into skin as needed. 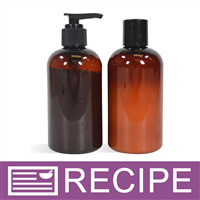 Ingredient Label: LIQUID SOAP: Water, Ammonium Lauryl Sulfate, Glycerin, Disodium Cocamido MIPA Sulfosuccinate, Propylene Glycol, Cocamidopropyl Betaine, Acrylates/C10-30 Alkyl Acrylate Crosspolymer, Fragrance, Disodium DMDM Hydantoin, Alfalfa, Flax Seed Powder. LOTION: Water, Cetearyl Alcohol, Ceteareth-20, Dimethicone, Mineral Oil, Glycerine, Fragrance, Coconut Oil, Aloe Vera, Petrolatum, Propylparaben, Methylparaben, Carbomer, DI-C12-15 Alkyl Fumarate, Tocopheryl Acetate, Evening Primrose Oil, DMDM Hydantoin. "Can this lotion be used with the pump top?" Staff Answer Yes, you can use a pump in the lotion bottle.